We left off with Sega struggling after the game crash of 1983 with declining profits, despite a decent arcade presence, and an underwhelming first attempt at a home console with the SG-1000. In 1985, Sega released its second home console in Japan, the Sega Mark III. Does not look very familiar does it? Well for the North American & European launch, the console was redesigned and retitled. The Sega Master System hit the American market in 1986 and Europe in 1987. Released to compete with Nintendo’s Famicom/NES. The Sega Master System launched with Alex Kidd in Miracle World, Alex Kidd was Sega’s first attempt at a gaming mascot to try and match Nintendo with Mario. Despite Alex Kidd appearing in several games and spin-offs, he never really took off as a mascot. The Sega Master System itself was technically superior to Nintendo’s NES, it could not match sales of the NES in Japan or North America. However, it did fair better in Europe. With a moderate success in the home market with The Sega Master System, SEGA carried on to strengthen their arcade library in the mid 80’s with games like OutRun (1986), After Burner (1987) and Power Drift (1989). 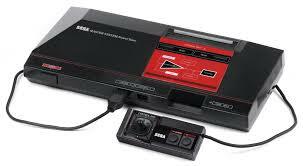 1989 would also see Sega release it’s successor to The Sega Master System. The Mega Drive (Genesis in North America) did not fare well in Japan against its main competitor, Nintendo’s Super Famicom. But, it did achieve greater success in North America and in Europe. Helping this success were several ports of some of Sega’s best arcade games as well as the introduction of a certain blue hedgehog. 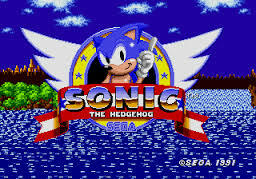 In 1991, Sega first introduced the world to Sonic The Hedgehog. A superfast platformer styled game that took the world by storm and finally SEGA had a bankable gaming mascot. Sonic went on to star in several sequels and spinoffs on the Mega Drive and is even still a relevant gaming mascot today. 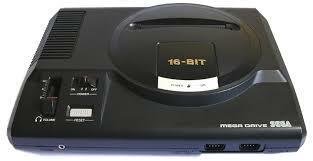 Sonic helped to sell even more consoles and give Sega it’s first real home market success with the Mega Drive/Genesis. The Mega Drive/Genesis also had several addons released for the console like the Mega CD and 32X to help extend the life of the machine. Sega decided to follow up on the success of the Mega Drive/Genesis and try to muscle in on Nintendo’s handheld console market share held by the Gameboy. Sega released the portable Sega Game Gear in 1990. The Sega Game Gear was essentially as Master System in handheld form using much if the same hardware. Due to problems with a very short battery life, titles mainly being lazy ports, and poor first party support, the Game Gear was unable to come close to the success of Nintendo’s Game Boy despite the Game Gear being technically superior. 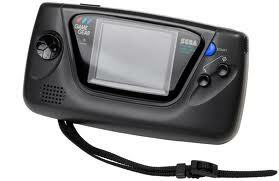 The Game Gear was succeeded by the Sega Nomad (a portable Mega Drive/Genesis) in 1995. But while they started to gain ground in terms of home market sales, Sega still maintained a strong arcade library through the 90’s especially with it’s “Virtua” series with titles; Virtua Racing (1992), Virtua Fighter (1993) and Virtua Cop (1994). 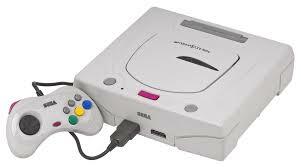 The mid 90’s saw the release of Sega’s next home console. The Sega Saturn first hit the home market in 1994 in Japan and then in America and Europe in 1995. The console was a moderate hit initially, but sales started to drop off fast due to the release of Nintendo’s N64 in 1996 and the rising popularity of Sony’s first home console, The PlayStation. Sega also never released a Sonic game for the machine, which many feel is part of the reason the sales for the Saturn soon dropped off. There was one in development called; Sonic X-treme, but it was ultimately cancelled. The Saturn did benefit from some great arcade ports like; Sega Rally Championship, The House of the Dead as well as ports of Sega’s Virtua arcade series of games and their sequels, but the console was only a moderate hit worldwide. Not content with just arcade and home console gaming, Sega even opened their own amusement style theme parks in 1994 called; Joypolis. Joypolis opened in Yokohama, Japan. Several Joypolis were opened in various cities in Japan with the parks featuring arcade games and rides based on existing SEGA IPs. 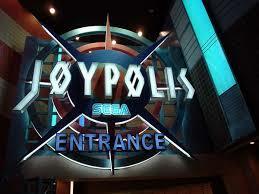 A total of 8 Joypolis theme parks were opened. However, as of writing only 3 of the parks are still open today. Other similar Sega based arcades and parks opened around the world. 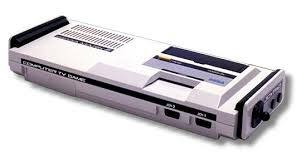 SegaWorld opened in the United Kingdom, China, Australia and Japan, but only a handful still remain in Japan. Plus; GameWorks was a joint venture between Sega, Universal Studios, and DreamWorks. I’ll end here, but part III will cover Sega’s (probably) most popular and loved home console…and their last, as SEGA end their hardware reign and become a software only devloper. This entry was posted in LBoG: Retrospectives and tagged Alex Kidd, Arcade games, Game Gear, Game retrospectives, Joypolis, LBoG: Retrospectives, Little bits of gaming, Mega Drive, retro gaming, Retro gaming blog, SEGA, Sega Enterprises, Sega Mark III, Sega Master System, Sega Saturn, sonic, Sonic The Hedgehog on 04/06/2015 by Steve Perrin.